If you'd like to know more about the history of your Boston-Edison home, we've gathered some resources on this page. Here are some suggestions for finding out more about your home's past, and its past residents. How to Research Your Historic Detroit Home, a quick and easy guide on where to look first, from Paul Sewick at Curbed Detroit. A Guide to Researching Your Corktown Home, a more detailed guide from Paul Sewick's blog, with step-by-step instructions. The information is Corktown-centric, but chock full of generally applicable information. A Guide to Researching the History of a House, a compilation of on-line resources from HomeAdvisor. Some are free, some are subscription services. Your "Old" pre-1921 House Number: On January 1, 1921, Detroit renumbered all the addresses in the city, so that the numbers were consistent from block to block. In Boston-Edison, all houses received new, very different address numbers. If your home was built before 1921, you'll need to know the "old" address when using any pre-1921 resources. For a cross-reference of Boston-Edison old and new addresses, look here. Legal Description: For some property searches, you'll need to know the legal description of your property (the liber number and page number where the property is recorded, and the subdivision and lot number where the house is located). All this should be on your mortgage document, or at the City of Detroit Parcel Viewer. Alternatively, you can find the legal description at the Wayne County Register of Deeds. Access their search engine, type in the name of the house's owner, and bring up one of the documents on file. The legal description will be at the bottom of the page. There are multiple places to find information about previous residents of your house, who they were, and what they did. Detroit City Directories: City directories list residents and their occupations for each address throughout the city. Using these, HBEA has compiled a historic list of residents for every house in the neighborhood at approximately five year intervals through the early 1970s. HBEA members can download a spreadsheet version of the list here. (Note that the original directories contain occasional misspelling of names, so cross-check any information.) For directories from other years, visit the Burton Historical Collection at the main branch of the Detroit Public Library, which stocks more City Directories through the early 1970s. Wayne County Register of Deeds: The Wayne County Register of Deeds has a record of the owners of each piece of property (who may or may not be the residents of the house). The office has a limited online search engine, with records beginning in 1986. However, if you visit their Greektown office in person, they can provide a copy of your property records for a small fee. You'll need to know the legal definition of your property. Detroit Free Press: Back issues of The Detroit Free Press are available online, and are searchable, at newspapers.com. The search is free, but more than a snippet view requires a subscription (or view the appropriate issue yourself on microfilm at the main branch of the Detroit Public Library). Search for your house number and street, names of residents, or any other applicable information. Genealogy sites such as ancestry.com also have resources for identifying historic residents, although a subscription is typically required. A short list of suggested sites is included in HomeAdvisor's Guide. 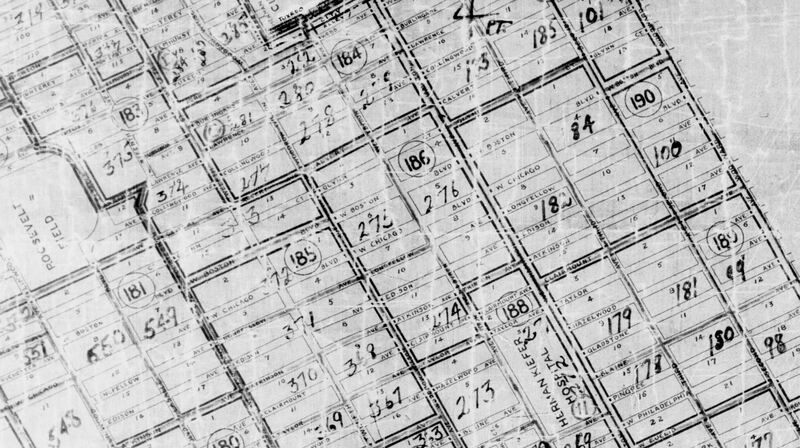 The addresses in each Enumeration District are listed in the order visited by the census-taker, which will often (although not always) be in order block-by-block geographically. In some cases, houses on the north and south sides of the street will be in different ED. Some addresses may be out of order, so you may need to scan the entire ED. For the 1910 and 1920 census, houses are listed by their pre-1921 address (see above). If you know who owned or lived in your house, and want to know more about that person, there are a few places to look for biographies or other information. HBEA's list of historic residents. Check to see if we did the research for you. The Burton Historical Collection. Not only does the library stock yearly Detroit City Directories (see our spreadsheet version, for HBEA members only), which will often list the profession and sometimes children of the residents, they also keep a biography index and other genealogical resources. The Detroit Free Press. Back issues of the Detroit Free Press are online and searchable at newspapers.com. The search is free, but more than a snippet view requires a subscription (or view the appropriate issue on microfilm at the main branch of the Detroit Public Library). The Detroit Jewish News. Back issues of the Detroit Jewish News are available online, and accessible for free. Genealogy Sites. Sites such as such as ancestry.com can have detailed information on individuals, although these sites typically require a subscription. A short list of suggested sites is included in HomeAdvisor's Guide. Detroit Social Register (1919, 1920, 1922 are online). Polk's Detroit City Directory (1914 is online). Albert Nelson Marquis' Book of Detroiters (1908 and 1914 are online). Clarence Monroe Burton's The City of Detroit 1701-1922 features biographies in Volumes III, IV, and V (All volumes are available online: Volume III, Volume IV, and Volume V). Various "Who's Who" volumes will list Detroit residents. Of special interest are Who's Who in Michigan, and the Who's Who for African-Americans (1941 edition available online) and Jewish Americans (1926 edition available online). 1974 House Photos: In the 1970s, when Boston-Edison was first designated a historic district, every house in the neighborhood was photographed. Colored slides of this photography project are kept by the Detroit Historic District Commission. Contact them to get a copy. Aerial Photographs: Historic aerial photographs of Detroit from DTE are online at Wayne State University's digital collections. Boston-Edison appears in photographs from 1949 and 1952 (pre-freeway! ), as well as from 1956 (Zones 1&2 and Zones 2&3), 1961, 1981 (Zone 1, Zones 2&3), and 1997. Boston-Edison Archives: The Historic Boston-Edison Association maintains an archive of items associated with the neighborhood. The archives include a few images of some homes. There are only a few, but please contact us and ask if yours is among them. Sanborn Maps: If your house was built before 1915, it will be included in this Sanborn Fire Insurance Map. Zone 1 (Woodward-Hamilton) is part of the Voigt Park Subdivision. Zone 2 (Hamilton-Rosa Parks) is part of the Boston Boulevard Subdivision. Zone 3 (Rosa Parks-Linwood) is part of the Joy Farm Subdivision.